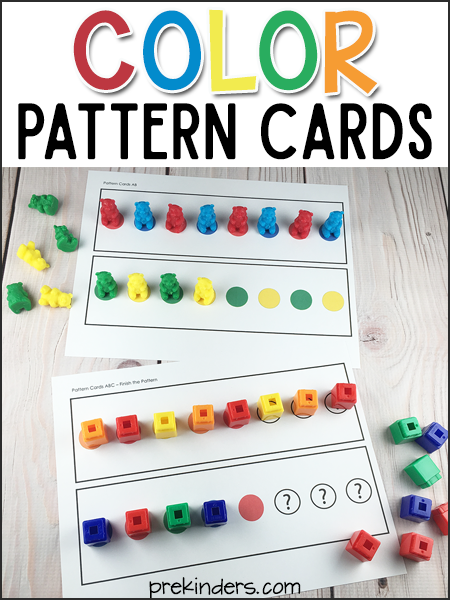 Print these pattern block cards to use with any colored math counters. You can use Unifix cubes, bear counters, dinosaur counters, farm animal counters, bug counters, just to name a few. Each set has 10 pattern cards. You can cut these apart or keep both cards on one sheet for children to use to practice patterns. One set of pattern cards has the color dots all the way across. Children use these to copy or duplicate a pattern. The other set has dots with question marks so that children can extend the pattern. Click each image below to download each set. There are pattern cards for AB, AABB, ABC, ABB, and AAB patterns. This set of pattern cards have one missing. Children have to figure out which color in the pattern is missing to extend the pattern. These manipulatives can be used on the cards above. These are Amazon affiliate links. Beautiful site. Awesome. Just the right touch. 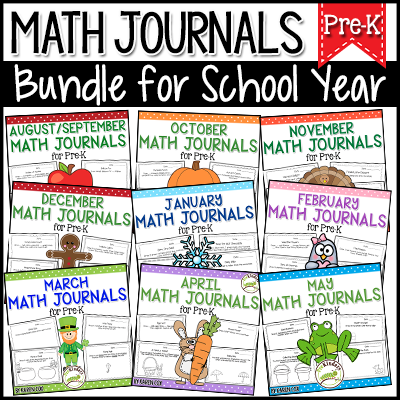 SO many great resources!! Thanks!! Your materials are so helpful! Thanks so much for sharing!! I found you on Pinterest & you are now my go-to for EVERYTHING! You have such a wide variety of useful games, printables, activities, & ideas, & the quality is top-notch. Thank you. Hi Jean, I’m so glad you found me! I’m just in love with all your activities, I’m from Brazil and you became an example for my teaching! Thank you very much! These are perfect! I bought some vehicle counters (since that’s where my son’s interest lies) and couldn’t find any vehicle-specific or generic color pattern cards. This is exactly what we need! Thank you! Thank you Karen your site had just what I was looking for. I enjoy this site very much! I’ve found all useful materials and printable here. Thankyou very much Karen. You are such a great help for my Learning Ladybirds Class 🙂 All the best. Love your page. Thanks for sharing! The color pattern cards look great, but I haven’t figured out how I can download them. I tried from this page and looking at your store. Hi, you just click each image to download the pdf. Sorry it’s confusing — I’ll have to work on making some of my pages more clear this summer. So comprehensive for center activities. Thanks so much!! !